When liver damage is mentioned, most people immediately think excessive consumption of alcohol. So if you like to learn about some of the most common causes of liver damage that has nothing to do directly with too much alcohol intake, keep on reading. Below you will come across some of them. Viruses in the environment can invade the body and then wreak havoc on the liver. When an infection strikes, inflammation of the liver may happen which is something that can considerably decrease the functionality of the said organ. Having a viral infection that can lead to liver damage is more common than you think. Hepatitis A, hepatitis B, hepatitis C — these are some of the most common types of liver problems that can be blamed on viral infections. 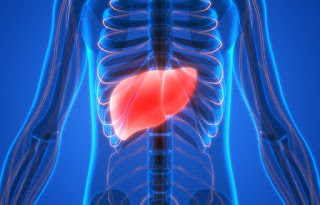 There’s a liver issue that’s referred to as alcoholic fatty liver disease. Just like what the name says, it’s the accumulation of excess fat in the liver as a result of drinking lots of alcohol. The presence of too much fat in the liver can lead to all sorts of serious complications. Did you know that there’s also the so-called non-alcoholic fatty liver disease? Instead of alcoholism, it stems from being obese or overweight. In some instances it can be blamed on having high levels of sugar in the bloodstream or type 2 diabetes itself. Just about any serious health-related matter that has something to do with the liver can cause damage to the said organ. One very common example is liver cancer. There are many serious complications associated with liver cancer, and that’s why it is something that should be taken seriously. There are numerous risk factors for liver cancer, many of which have been already mentioned above. According to health experts, some of the things that can increase your liver cancer risk significantly are long-term liver infections, obesity, type 2 diabetes and of course alcoholism. Earlier in this article, it was stated that sometimes liver damage is not self-inflicted by means of some lifestyle and dietary factors. In some instances, it is the person’s very own immune system that can be blamed for such. Simply put, the immune system believes that the liver is a threat and that it needs to be eliminated. Such can cause the liver to become inflamed. One very common example of liver damage that’s caused by the immune system is called autoimmune hepatitis. It’s common knowledge that there are many different health conditions that tend to run in families — certain genes that can be passed by a parent to his or her offspring can in fact increase the likelihood of a particular health-related matter to show up sooner or later. Liver damage can sometimes be brought about by the genes, health experts say. For instance, there is what’s known as Wilson’s disease that’s characterized by the accumulation of excessive amounts of copper in the various organs of the body, and that’s includes the liver.